New-product-and-service offerings e.g. licenses, guidebooks, online courses, webinars, etc. Contact me today for a no-obligation conversation to help you decide if working with me and my team is right for you. Working with you to create your book concept. We help you define and refine the essence of your idea by clarifying it into the clearest, sharpest and most compelling message possible–one that will deeply resonate with your readership. Evaluating your book concept. We identify and develop your unique positioning to complement rather than compete with the other books in your category. We also conduct comprehensive market-research analysis, reviewing and evaluating existing competitive titles within your subject category to help ensure that your book is positioned and written from a fresh vantage point. This step is critical in differentiating your book from the “pack.” This step also helps make your book more discoverable in the increasingly competitive book-writing space. Creating the best-researched and well-positioned title and subtitle for your book. These elements are essential to achieving a winning first impression. However, this is often easier said than done. There is both an art and a science to coming up with a great title and subtitle—something we have helped more than 120 authors accomplish in the last eight years. Developing an agent-ready book proposal. If you already have a strong marketing platform, you may be a candidate for getting picked up by an agent. We have helped many of our authors create their book proposals that have gone on to be represented by our literary agent who has partnered with us. Assigning you a writing team, not just one ghostwriter. Melissa will partner with one of her subject-matter-expert writers to work with you in a highly collaborative fashion to create your outline for your book. Conducting research for each of your book’s chapters. This will help ensure your content has the most up-to-the-minute wisdom on your subject. Developmentally editing your book. Here, Melissa and her team will work with you to create and develop each chapter of your book so your content is engaging, insightful and powerful. Her team of developmental editors and ghostwriters are top-notch seasoned experts with decades of experience. Note: You hold ALL rights to your content and book. The Networlding team is made up of highly-skilled professionals who work on your behalf to create a book or series of books representing your best thought leadership. Editing your book at all stages–editorial rounds. Successful writers know the essence of great writing is in the editing. We provide our authors with at least three rounds of detailed editing, crafting content that is engaging, precise and unique. We’ll keep your book on topic and on target. Designing your book cover and interior pages. People who love to cook know a secret that those who can’t even boil water don’t: people eat with their eyes. In other words, we know how to serve up a book that looks as good as it reads, a book your readers will want to read, re-read and share. Project managing a “smart” book launch. 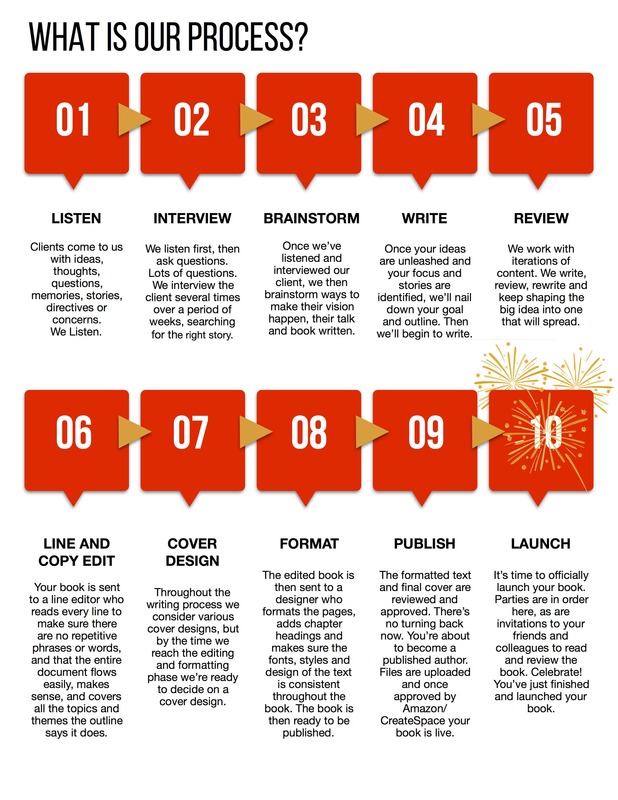 We keep you on schedule and on target to launch your book as effectively as possible. Choosing the best resources for your book to be published and distributed. We apply the latest advances in book publishing, strategies, and trends. We also use every distribution channel relevant to your work: softcover, hardcover, e-book, and especially audio where you will be more discoverable. At Networlding Publishing we know the benefits of each area of distribution. Inserting the best keywords in your title to make sure your book is as discoverable as possible among your competition. Designing your cover well in advance of your book’s release and then using it to create a lead page that will include value-added products like a free checklist or other free product to give away in exchange for your followers’ email addresses, (an excellent way to grow a following prior to launching your book). Foreign rights. Want to increase your presence on the international stage and see your book published in a foreign language? We have an experienced foreign rights agent on staff that will pitch your book to foreign publishers and scouts, and negotiate foreign rights deals on your behalf. Support for outreach to reviewers to help you get reviews to help you get into Amazon’s Hot New Book Releases. We also provide outreach to reviewers to help you get reviews from professionals who have reviewed similar books to the one you will be publishing. Information and discounts on professional book review services like Indie Reader and Booklist. It is our mission at Networlding Publishing to help you become a successful author. This is why we include helping you create a book support launch team so that when your book comes out you have the best chance of success. I want you to be successful. That’s why my team and I provide you with even more services at a lower price point than I paid 15 years ago when I was writing and getting my own books published traditionally. Through my books, I was able to impact more than ninety thousand people. Now I look forward to helping you achieve a similar impact making the most affordable investment possible.